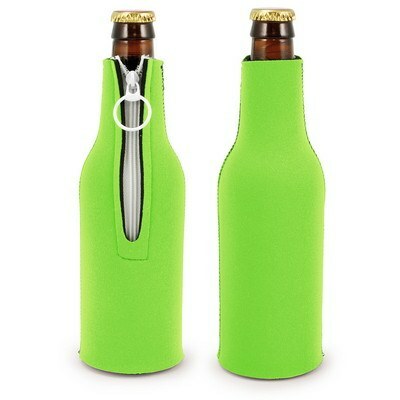 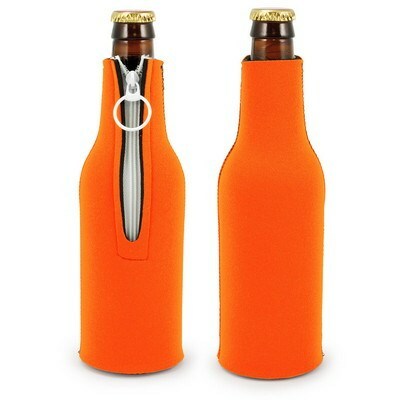 The Neoprene Bottle Suit offers a comfortable grip and has a zipper, glued-in bottom and fits long neck bottles. Comfortably grip your bottle, while advertising your brand, by using the Neoprene Bottle Suit to protect your bottled beverages. 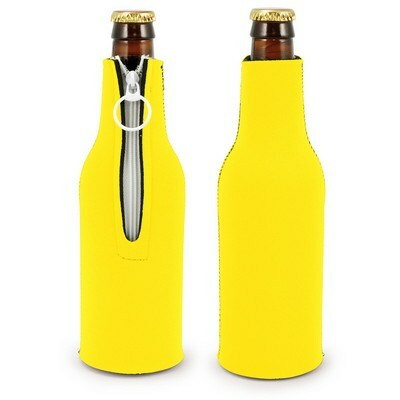 It is made of high-quality Neoprene, a lightweight material that is also used to make wetsuits. It has a zipper and glued-in bottom and fits long neck bottles. Imprint your company's logo on the attractive Neoprene Bottle Suit using one color imprint and raise brand awareness every time your customers use it.